Hey there lovelies, I hope that you are having an awesome day and enjoying the new season!! I am currently debating whether or not to get my fluffy socks out so that my feet aren't so cold (update: I put them on) - the weather here has certainly changed but I'm looking forward to piling on the layers and wearing my new clothes! 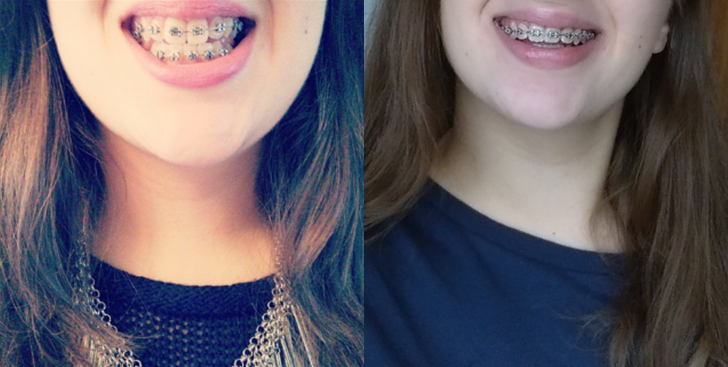 I'm not sure how many of you are in the process of getting your braces or have already got them on but as a (once) brace-wearer myself, I have learnt a thing or two that can help you if you're definitely thinking about getting braces or simply want to know a bit more about my experience. 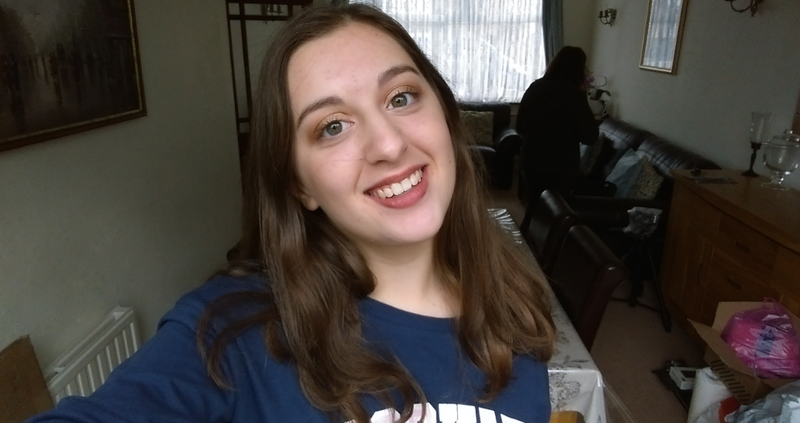 In this post, I have included a list of pros and cons and a few pictures to show you what lurked behind that closed-mouthed smile of mine that can be seen on my Instagram (@notvicarious) and Twitter (@not_vicarious) - shameless plug I know but someone's got to do it! The day I got my braces on! The day I was going to get them off! Changes: Amazing to be able to see the transformation. Pouting: My braces gave me the appearance of slightly fuller lips - to the point where my sister would always say that I was pouting. Tightening: When you get them tightened there's more slight pressure than actual pain. Early: Get them in early and you won't have to worry about them later. Show Them Off: If you're confident with wearing them, you'll be able to show them off and I heard that at one point, they were the "cool thing" to get! Plenty of Options: You can choose to have different colours on your braces and you can change them up every time you have an appointment. Cool Tools: I'm not sure if this was just me, but I got excited with all of the brushes I would use to clean my teeth with - they were so small and cute! Breakages: If the wires break or the brackets come unstuck, you don't need to worry about it because these issues are easily fixable. If it's giving you a lot of pain or discomfort, phone into your orthodontist to get an emergency appointment! Food: One of the most annoying things is getting food stuck in your braces. I mean, the amount of stuff you can get out with just one toothpick is mind-blowing but kind of gross at the same time! First Week: I found that I couldn't eat solid/hard food for just over a week (I cried on the very first day - I was in that much pain). Wobbly Teeth: I'm not going to lie, I could feel my teeth move when I would take my elastics off or simply press my tongue against them. Now, I don't mean 'wobbly' as in when your milk teeth were about to fall out, just wobbly in the sense that they didn't feel set in place. I was informed by the orthodontist that this was completely normal - they have to move to get into the right position, they would stop "moving". Breakages: They are a pain! I hope the cons haven't outweighed the pros! Anyway I just wanted to say again that I'm not here to scare you, trust me!! I used to spend ages watching videos of people getting their braces on or reading the pros and cons of the entire process - I scared myself a few times but when you actually have them on, it's not as bad as everyone makes it out to be! I hope that you have found this helpful and if you have, comment down below! Also tell me about your experiences with braces - I'd love to hear them! P.S. 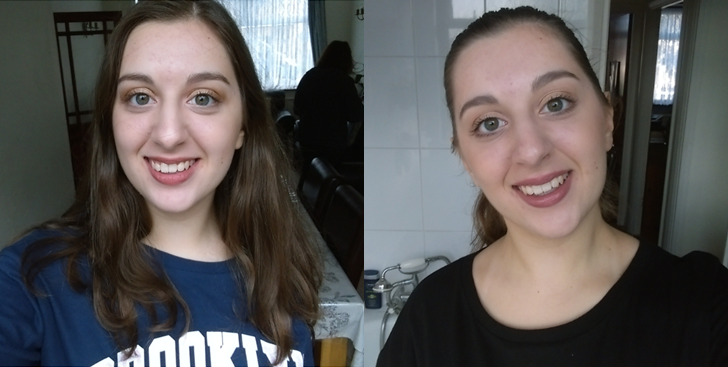 It took a lot of courage to put up the images of me wearing braces so go easy on me!